If you think about it, it’s often our resistance to change that causes us the most problems in life. Generally we get upset when something doesn’t work out how we wanted it to. Perhaps those poached eggs didn’t quite turn out how we wanted this morning, maybe the weather wasn’t quite what we expected or planned for, did an unexpected detour mean more traffic than usual? What this means is that instead of just accepting situations when they don’t go your way, you have the opportunity to look for alternative options or solutions so that you essentially ‘beat’ the problem. A saying that I like to describe this is ‘ we can work around that’. It means – we don’t know how to fix the problem yet, but we will find a way! Do you think successful people roll over and admit defeat when things don’t go their way? Of course not. They come up with ideas or potential solutions to ensure that no matter what happens, no matter how many changes, twists, turns and issues are thrown at them – they will be flexible enough to adapt and still get the outcome they want. You’re running late. An unexpected detour means you’re faced with a huge traffic jam. You have two options: 1) you can accept this challenge, sit in the traffic jam and give in to road rage & frustration or 2) you can make an effort to find another way around the problem. Can you take another route? Can you use the time in the car productively and to your advantage? Can you start focusing on what needs to get done at work? Which of these two options do you usually find yourself taking? And is it time to make some changes? If you look at the most successful companies of the 21st century you can see this theory in action. The Facebook and Google’s of the world are constantly in a process of change, consistently bringing out new product innovations and moving in tandem with new technologies. Would they still be at the top of their game if they had remained the same as when they first launched? Highly unlikely. 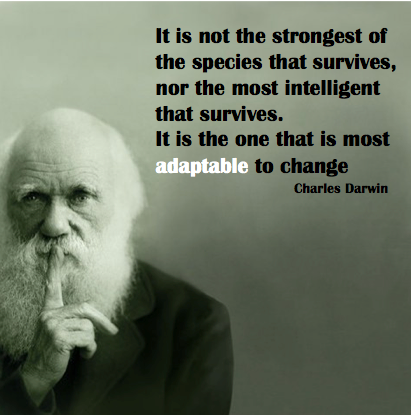 Now – more than ever, we need to replace our rigidities with flexibility, we need to use change to our advantage! Look at change as a ‘challenge’ – you have the choice to react and beat those hurdles! You don’t have to lie down and take what life throws at you! If you know someone who could do with being more flexible – share this article with them! If you have struggled with being flexible and dealing with unforeseen challenges in life contact me to find out more about a coaching program!